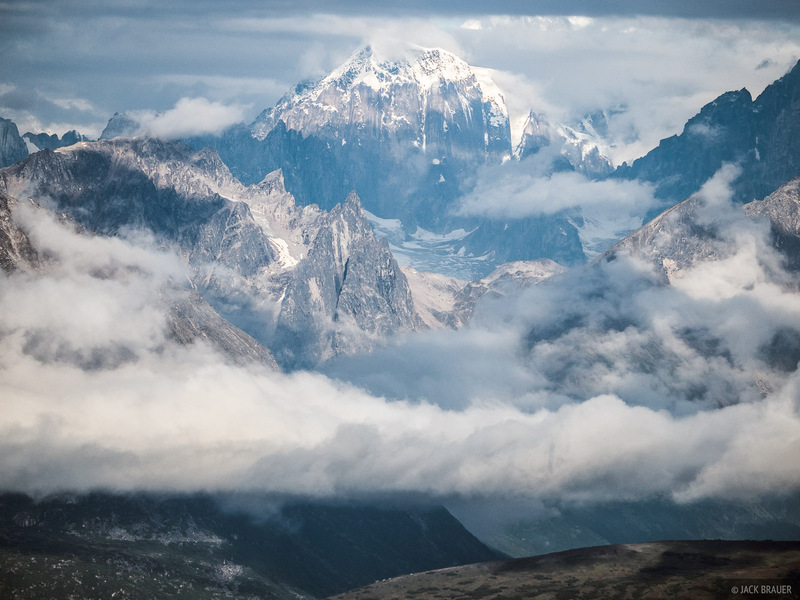 A view of rugged peaks in the Alaska Range, Denali National Park. 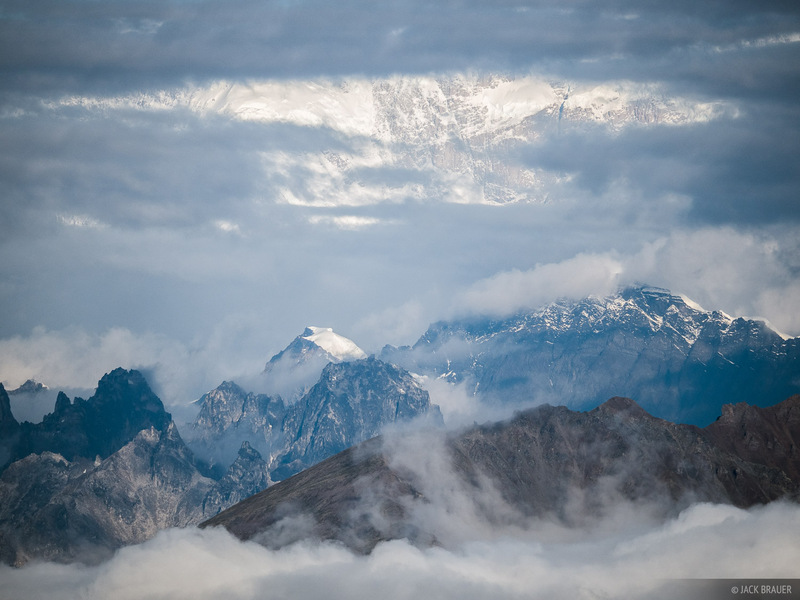 The giant flank of Denali appears through a break in the clouds. 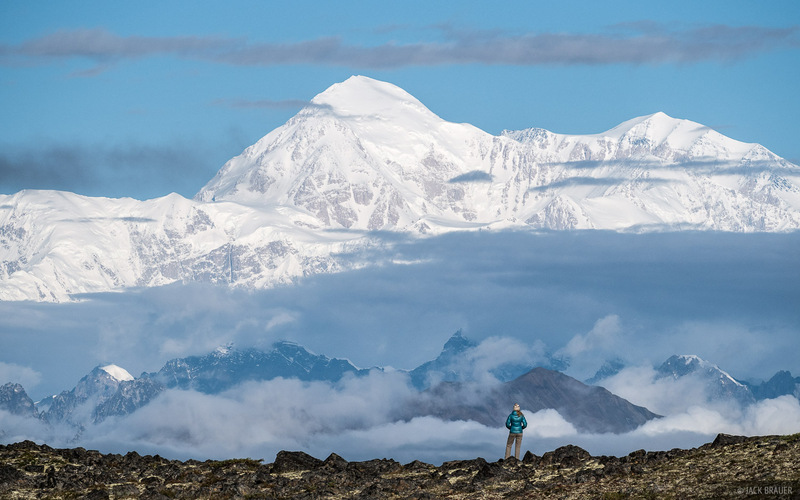 The scale of Denali dwarfs the rugged peaks far below. When Denali is covered in clouds (which is most of the time) you can't tell where the peak is or how big it is. But when the clouds break up and Denali emerges, its massive scale is mind-boggling, like a Himalayan peak got misplaced in Alaska. This is the view from Kesugi Ridge across the valley from Denali. 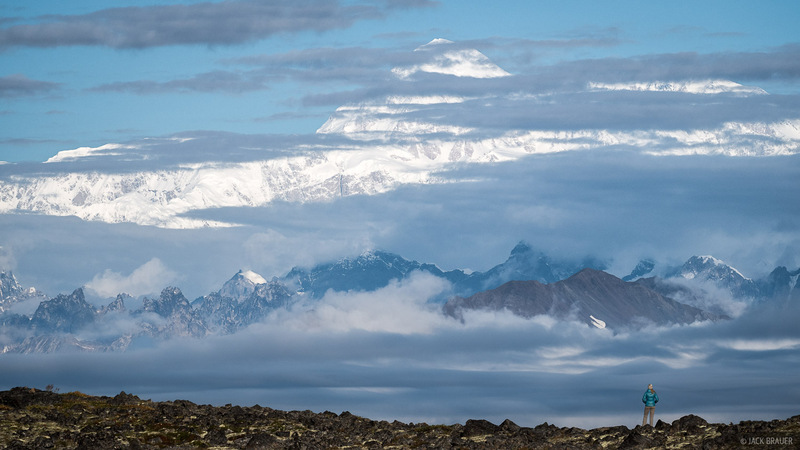 A spectacular view of Denali, the tallest peak in North America with a summit elevation of 20,310 feet (6,190 m), as seen from Kesugi Ridge. 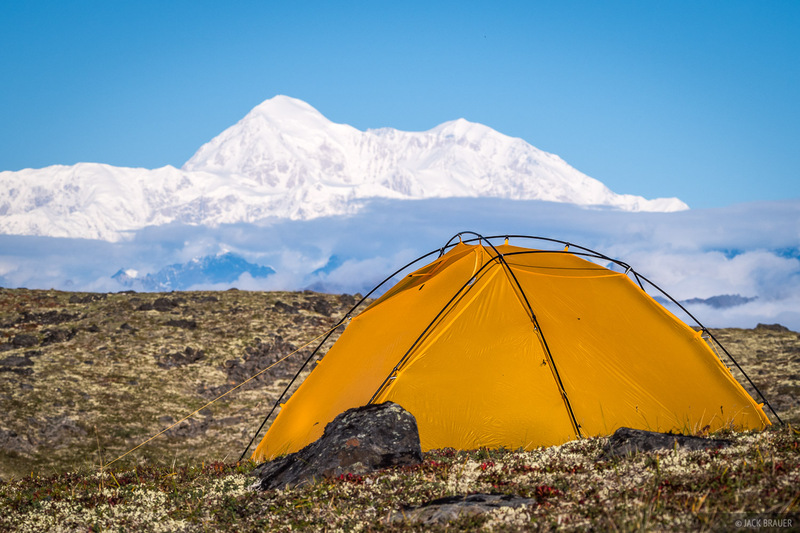 We were stoked to catch a view of Denali, but with more bad weather rolling in, we packed up our tent and walked back down to spend a week relaxing and waiting out the weather in Anchorage. Posted in Backpacking & Trekking and tagged Alaska.